* IrisNotes Executive 2: Pen plus monitor you clip to a piece of paper. Write with the pen and you don't see it on the paper but you can upload to your PC or Mac; you can then turn this into text or just get an image if you use the iPad or iPhone app. This was sent to me and my faulty computer swallowed the installation CD otherwise I'd have covered it a lot more - it is spectacularly useful for note taking. Really, really simple to set up and use and does what it's supposed to - the odd letter may be misread depending on your handwriting. * Bowers and Wilkins C5 headphones: In-ear headphones which, like most in-ear models, are great for the treble and clarity but I prefer a bit more oomphy bass. I can only get the quality I want from an over-ear headset. These are good for what they are, though, with a bit of wire that holds them in place for extra comfort. Excellent for audiobooks, less so for bassy music, unusually comfortable for long sessions and they come with a carry case. The £149.95 price tag will make some people wince. * Rohan Superfine Merino 200 Necktube: Bit of a fashion statement this one, keeps your neck warm and looks like a scarf which is a loop rather than a straight bit of material. Very warm, very comfortable and a little 'young' for my tastes - which no doubt means everyone will be wearing them in January or whenever the next cold snap starts. A good stocking filler at £25. * 3M iPad screen protectors: Another stocking-filler for the iPad fan in your life. Just a self-adhesive cover for the iPad, which comes off without residue if you need it to, and protects it from scratches without diminishing its sensitivity. Recommended (or something like it) for all iPad users. * Eneloop rechargable batteries: Or similar, of course - what, you've opened a load of presents and they need AA or AAA and you haven't got any? Get charging with these, you'll end up swearing by them and longer term they will save you money. That really is it for this festive season - I may be back with the pick of the online sales between Christmas and the New Year. Have a great break and whatever you get or are about to give away, enjoy! 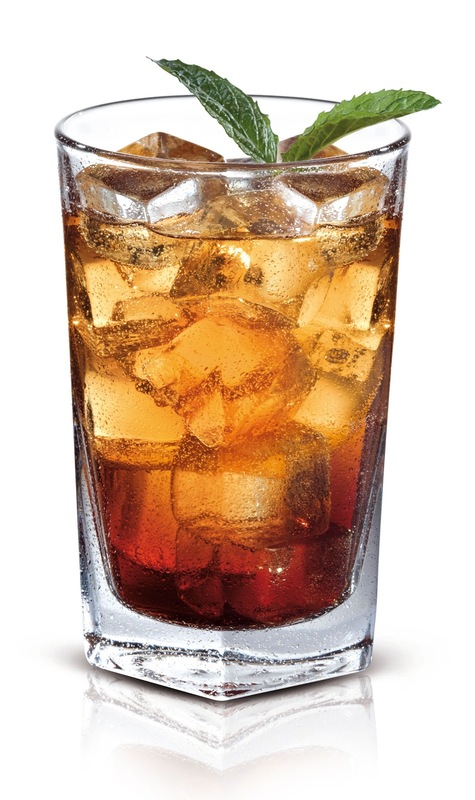 Combine all ingredients together with cubed ice in a Boston and shake. Pour into a martini glass and garnish with coffee beans. Very refreshing and warming I find, and if Christmas is going to be as wet as it's threatening to be then this is going to be a good option. For mealtime I won't be driving this year for once (YAY!) so I'll be on the white with the starter and red for the main course. I can recommend some of the Absolutely Cracking French Wines selection. This is a promotion in which drinks journalists selected their best wines of the year and as you can imagine the results are pretty good. 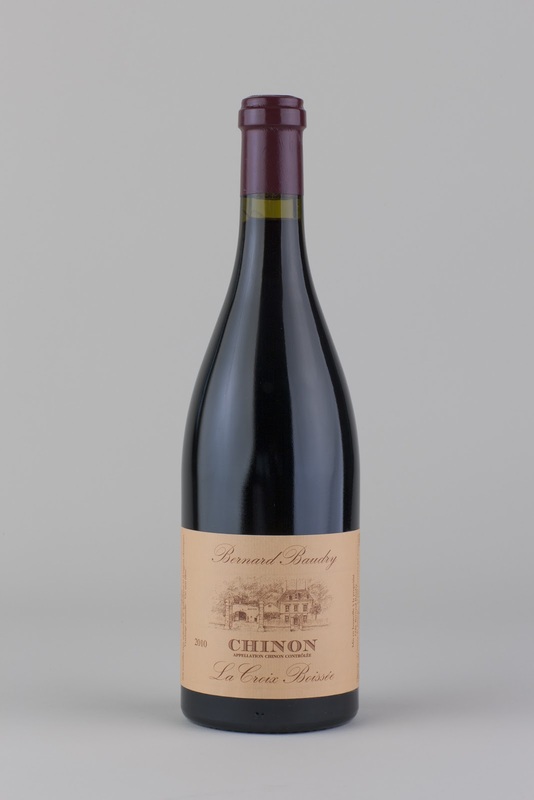 The promoters have sent six samples and I can recommend them all: AOC Chinon, Bernard Baudry, La Croix Boissée 2010 (Lea and Sandeman, £17.95, pictured) will be my main course tipple of choice, a lot of earthy fruit in there, or AOC Fleurie, Albert Bichot La Madone 2009 (Soho Wine, £10.99). Try also something from the Tra La La vineyards through Naked Wines if you can get a pre-Christmas delivery at this stage (look, where does this time go? On the white front you could do distinctly worse than IGP Pays d'Oc, Marquis de Pennautier, Terroirs d'Altitude 2009 (Majestic, £9.99) if you like oaky wines with a bit of an acidic tang; for something a bit more citrussy have a look at AOC Pacherenc du Vic-Bilh, Domaine Capmartin 2010 (Enotria, £10.95). As always, enjoy sensibly and don't drive afterwards. 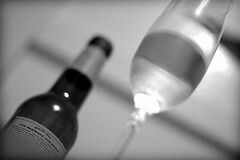 And in January remember I'll be giving up for the Dryathlon in aid of Cancer Research - why not sponsor me? A quick break from Christmas presents today and a look to 2013, January to be precise. Tomorrow I'll be blogging about Christmas drinks; Tuesday will be Christmas Day (I know this stuff, I've Googled it) and a week later...I'll be abstaining from alcohol for a month. People who know me will most likely have fallen off their chair at the thought. And certainly I enjoy a drink, not to excess but a good meal like, say, a really excellent steak, without a good red is not my idea of fun. Nonetheless there's a scheme called Dryathlon. The idea is that I (and thousands like me) will abandon the bottle for the month, give the money we would otherwise have spent on booze to cancer research and (here it comes) get our generous friends and readers to sponsor us. (If we fall off the wagon then we have to give an extra £15 to the charity so even if I don't keep it up we're still raising loads). So, season of goodwill and all that, if anyone felt like sponsoring me for however small an amount you felt appropriate, here's my JustGiving page. I will of course report back at the end of January on any weight loss, improved energy levels and other undesirable side effects the absence of alcohol has on me. Meanwhile, Ill urge people to drink responsibly and sensibly in what remains of 2012! Woody Allen once said (no doubt incorrectly attributed) that he didn't like growing old but it beat the hell out of the alternative. It's a view with a lot to recommend it, and Christmas is an excellent time for other halves to drop hints by donating moisturiser. Actually before you even do that I'd look at the cleanser they're using. Clean skin will moisturise better than flesh with soapy residue on it; Dove has a nice little package available this year of gentle cleanser plus Hydrate+ moisturiser which have the benefit of being completely unscented. They do the job as well as some of the vastly more expensive alternatives you can buy. 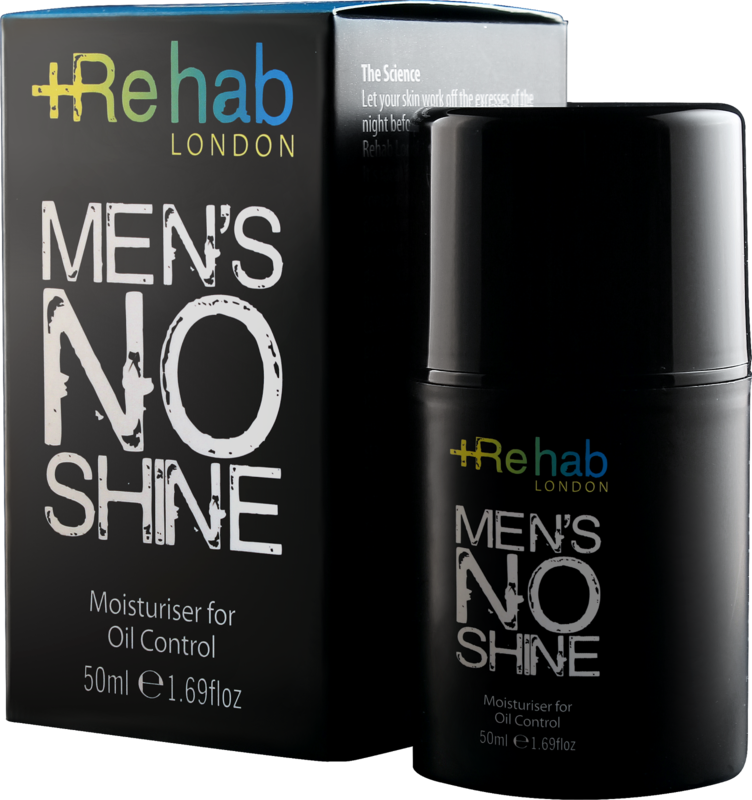 Likewise Rehab London (pictured) offers a couple of different moisturisers that won't add their own scent, which is always welcome. 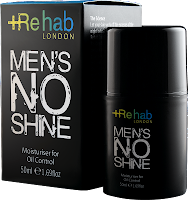 Morning Glory is aimed at normal skin, if you produce a little more oil than the rest of us then fine, they have a "no Shine" option (pictured) which works very well indeed. And yes moisturiser is still a good idea after you've shaved even if you have oily skin because it will soothe you - you've just dragged a naked razor over your skin, remember? (And don't forget to use a decent shaving cream as I've recommended here). If you want something for your whole body or just a few chafy bits (spare us the details) then you could do distinctly worse than Palmers' Cocoa butter formula body lotion, which I've been trying out and is very pleasant stuff. Its only drawback is that you do end up niffing rather of, well, cocoa butter, which isn't at all nasty but will clash with any cologne you might want to use. I put some on after trying out the Original Source Orange and Cinnamon shower gel that's out for Christmas (rather cleverly the company gets its customers to vote for which gel should be released during which season) and ended up smelling like a chocolate orange. Each product is fine by itself but watch those combinations! Time for a break from gift-giving and think for a second about what to give any festive guests. These people are notoriously greedy whatsits I find, and will very often measure any good cheer against any free food and drink they can score. I've been sent a few samples - there will be more on drinks towards the end of the week. First the snacks. Chocolate is always a winner, I find, and the tradition of big boxes of biscuits has become a bit of a fixture by now. As an aside I was in Debenham's in Wimbledon a week ago and you'd be staggered at the amount of really quite ordinary food that becomes 'festive' when put in a little wicker basket and surrounded by shredded paper; packs of oatcake biscuits, I even saw an ordinary pot of jam wrapped and made to look a bit 'glam' in the gift section. You'd have bought it in Sainsbury's without thinking about it only a couple of weeks ago. I like the sort of rubbish people come out with at this time of year. Over a decade ago I found my all time favourite in British Home Stores - porridge. Seriously, it was a small pack of oats, a wooden spurtle, tiny jar of honey, instructions(! ), all done up in a little basket and shredded paper. 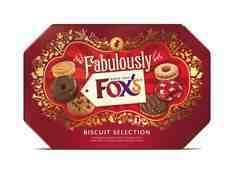 On the non-rubbish side, if your visitors have a sweet tooth I can recommend the "Fabulously Fox's" tin, of which they've sent a sample, as a pretty decent selection including some for those incomprehensible people who don't want chocolate biccies. The same company's "Rocks" is a fairly basic biscuit covered in chocolate but it's inexpensive and you get a decent thickness of covering, which isn't always the case where cheaper brands are concerned. Nibbles with drinks are always good and I've been getting hooked on nuts lately. I often review the newspapers on the BBC News Channel which means getting home past midnight and hungry; I know nuts are calorific but they're not as bad as the sugary snacks that might otherwise tempt me. 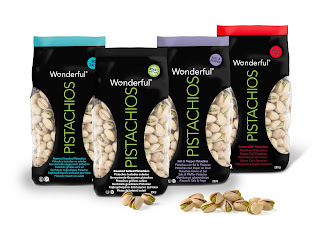 So I was pleased to receive a selection of pistachios from Wonderful; you can have salted, salted and peppered, unsalted and unpeppered (known as 'pistachios') or sweet chilli flavour. I'm not in favour of loads of salt as it messes with your blood pressure and makes you thirsty, and I find these nuts have enough flavour in their own right so the plain version is my favourite. Your mileage might of course vary - do watch them, they're fattening, very more-ish, tasty and easy to get through an awful lot when there's a daft film on the TV. Who am I kidding, it's Christmas in a week. Help yourselves, worry about the diet next month. The thing about leather iPad and iPhone cases is that they all tend to end up looking the same. Go to a meeting and put your iPad down and you'd be hard pressed not to pick the wrong one up at the end. 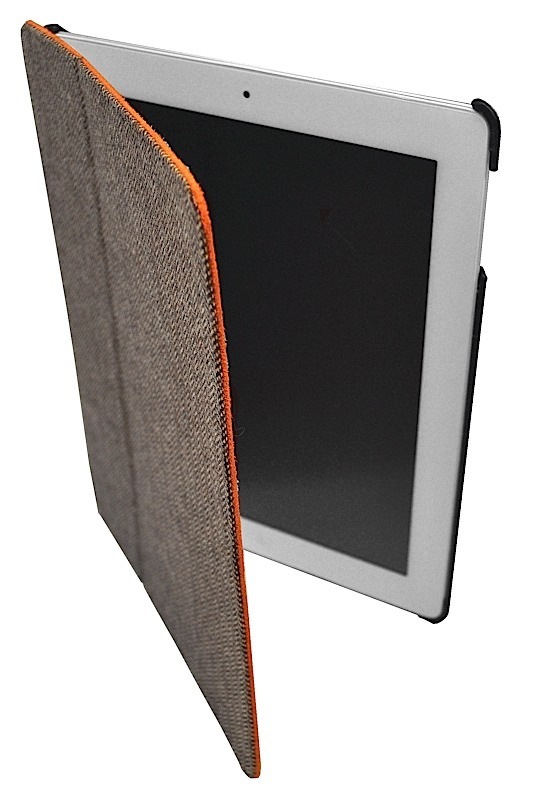 So it's useful that iChicGear has issued iPad and iPhone covers in a very distinctive Harris Tweed design (pictured). They're reasonably priced, the one in the picture is €49 plus delivery. There's a little leather catch at the back so you can tilt your iPad on a flat surface for easier typing. Mine's brown herringbone tweed with orange micro-lining.They have magnetic closure so they'll switch the thing off, and although they don't feel like it they have hard shells built in for protection. Actually I wouldn't have minded paying a little more if they'd put a bit more into them. I do like to have a couple of card pouches in an iPad holder, and preferably somewhere to put a pen. This is a lot more basic than that - but then I'd be back to my case looking like everyone else's. These are a nice alternative to the norm, they're genuine tweed and aimed at the luxury market. They're distinctive - you can make your own mind up about whether you want any extras. I'm delighted to say that we've been offered a discount. Whether you're considering hand made good quality silver jewellery for yourself or a partner. the guys at Corazon Latino will give you 10% off if you enter the code LIFEOVER35 (remember the capitals) when you check out. I'm an existing customer and can confirm the quality is excellent. 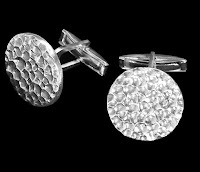 I reviewed some cufflinks a while ago and although they were a little large for my tastes I could see they were well made; I've subsequently bought another pair (the Andata on the site, they look superb and I wear them as my first choice most of the time) and a Sylvia necklace for my wife. This is versatile and beautifully made. I wouldn't hesitate to recommend this company to anyone - not only are the quality superb and the prices reasonable, but I find when I order something on a Thursday afternoon I've got it by the Friday morning. They are very good at offering advice if you phone up in a panic and want to buy a present but don't know quite what. The offer closes 21 December and if you order on that day then unless there is snow or a postage issue, you'll still have your gift in time for Christmas. If you're buying jewellery, do have a look at the website and remember the discount - I certainly haven't been disappointed. Declaration: I am not on any commission or incentive for this offer - it's just something I'm passing on which I hope will be useful. My thanks once more to Cath at Corazon Latino for making this offer to all readers. I know, I know, I'm the first to grumble about people adding stuff to take the flavour of a drink or food away. Only yesterday I was grumbling - unkind people may even say 'whining' - about people putting salt in chocolate or caramel and ruining it. However, I find vodka is a bit different, primarily because it tastes of very little except alcohol. Unlike whisky, brandy or rum I find little to distinguish one vodka from another. 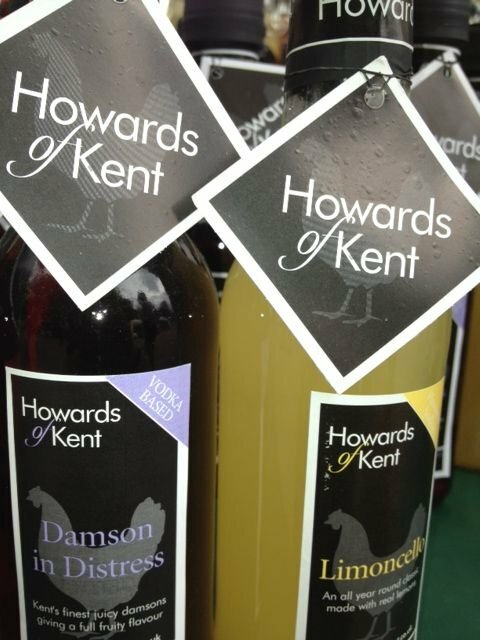 So longer term readers might remember I became reasonably fond of the Christmas Pudding flavoured tipple from Howard's of Kent, tasted like Christmas pudding in a glass. Now, my wife finds vodka-based drinks make her feel ill, so it's no comment on Howard's that the drink in question lasted some time, and by late January I was pretty bored with it. There was no doubting the quality, I'd just suggest going for that one when you have friends around and disposing of it relatively quickly when the season is right. Meanwhile they've kindly sent me some other samples to try. Actually they're all good but if you wanted something terrific and unexpected this year, just go for the rhubarb. It sounded utterly repulsive, I admit - rhubarb, which coats your teeth at the best of times, and a fairly insipid spirit, what's to like? The combination, though, is delicious. Warming, sweet but with that extra edge of sourness from the fruit (if indeed rhubarb is technically a fruit, I'll leave that to wiser heads than mine). 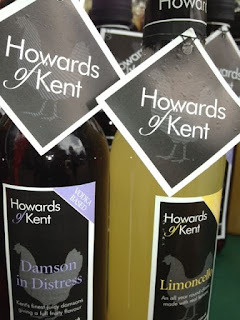 They don't sell off their website and are primarily fairs-based; they'll be at Croydon High School this weekend (a full list of their appearances is here) - if you arrive and find all the rhubarb stuff has gone, it means I've got their first and stocked up! They sent me two to taste, the Cornish Sea Salt and the Tangerine Rich Milk. OK, a declaration first: I just don't get this idea of putting loads of salt into chocolate. The stuff's going to be bad enough for your blood pressure already, let alone pumping it full of salt too - my wife likes salted caramel, I regard it as a good way of spoiling some nice caramel. And the sea salt crystals in the salted version here were pretty chunky - so definitely not for me, well made though it no doubt was. 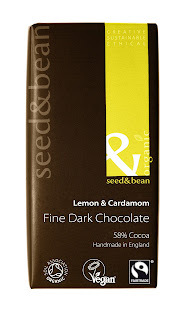 I'm also not a chocolate orange fan, so was quite pleasantly surprised by the refreshing tangerine flavoured version. This seemed a good deal less artificial than certain well known brands of orangey chocolate, not overly sweet and fine for a stocking filler. 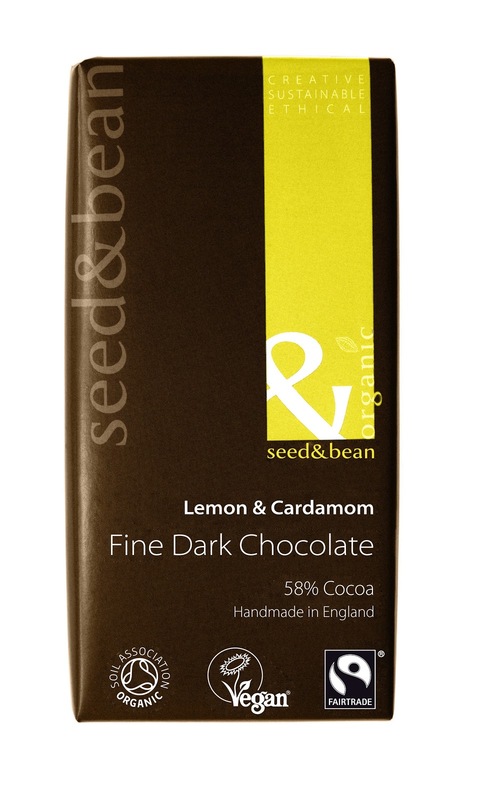 I'm severely tempted by the lemon and cardamom or mint extra. Overall this new brand seems to offer good value and anything ethically sourced has to be a good idea. 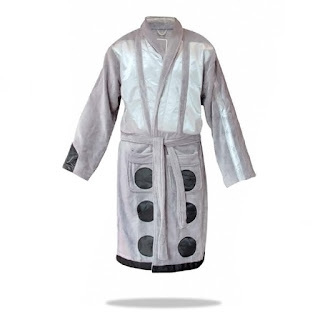 So I've been sent this dressing gown to review. I've never reviewed one before and it's difficult to know what to say. Except of course that it's a little on the small side - it comes in one size, I'm an XL and if you're not M-L this is going to do up but, well, a quick gust of wind while you're answering the door and there's going to be nothing left to the postman's imagination. You'll have noticed the design is slightly peculiar - metallic stripes on the top half, black circles on the lower half. This is because - wait for it - it's based on a Dalek. Go on, you can see it now, the roundels around the base, the metal slats - no? It's clear as day to me although my wife said if I hadn't explained it she wouldn't have known. Philistine. (I can also assure you it doesn't work particularly well as an aphrodisiac but I'll spare you any details - let's just say shouting "Exterminate, Exterminate" before going to bed isn't going to do much for anybody's love life). It comes from Findmeagift, costs £49.99 and is reasonably good quality. It's a bit of fun and sized for the adolescent or medium-sized walking mid-life-crisis in your life. You can also get a Tardis one with a hood, one based on Tom Baker's Doctor Who costume and another based on Matt Smith's - oh, and there are Star Wars models, too, based on Stormtroopers, Boba Fett, Darth Maul and R2D2. So you can even collect the set if you want. Just remember that after Christmas, when the joke has still worn off, you'll still have the dressing gown staring at you, alongside the Christmas jumpers.